Exhibit at Crich Tramway Museum. Detail. 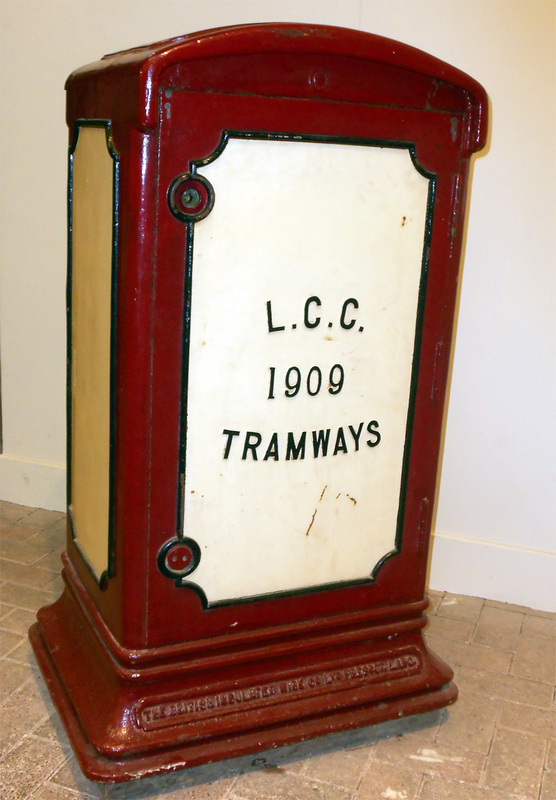 Exhibit at Crich Tramway Museum. 1890 A factory was established in Prescot to manufacture paper-insulated power cable under licence from U.S. patentees. The people behind this venture were the Atherton Brothers, T. P. Hewitt (Managing Director of the Lancashire Watch Co), Colonel Pilkington of St. Helens and Sebastian Ziani de Ferranti (the Liverpool-born innovator who contributed much in the field of electricity). They became directors of the company, recognising the potential of the emerging field of electricity with its many uses, including electric traction which is said to have been sufficient to justify the venture. By 1900 the firm had secured its position in the power distribution industry, while continuing to establish itself locally - lighting for Lord Derby’s house, Knowsley Hall and street lights in Prescot and its surrounds. 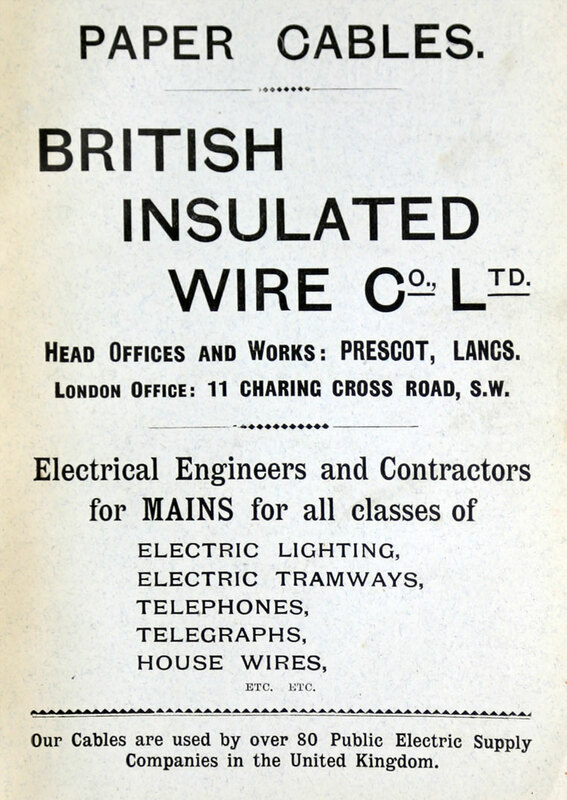 1902 Merger with the Telegraph Manufacturing Co of Helsby to form British Insulated and Helsby Cables. This page was last edited on 3 November 2016, at 17:41.